What it most engaging about this comic is how detached it is. You get no sense of urgency or, at least, nothing that seems to respond or allow for spontaneity, heat, and energy. It’s more like a series of things happening, cold, isolated, and indifferent. 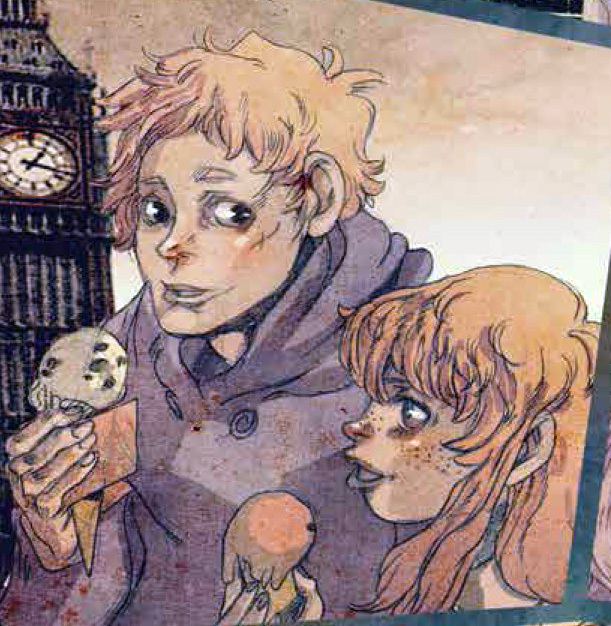 The artwork, dialogue, the whole script, successfully evoke the angst of a youthful wasteland. Wieszczyk has a way of drawing people like wisps of melancholy. Her characters are elongated, with broad shoulders, the sharp diagonals acting as key reference points in the composition. 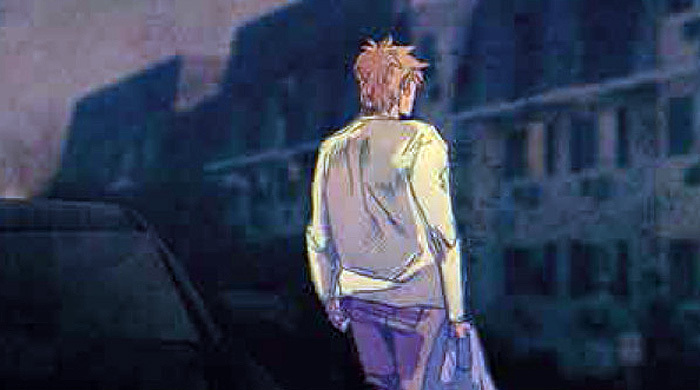 Setting is essential in this comic, a character in its own right, even though it is ethereal, haunting, and distant. But that’s the point. No one seems satisfied with the present. They become addicted to nostalgia. Time travel is, in many ways, the antithesis of an action story. You’d think, with all the places the characters will be going to in time and all the screw-ups to the time-space continuum, that you’re guaranteed lots of action. But, no, a good time travel story primarily concerns itself with being quirky, laid-back and cerebral. It’s like a Robert Altman film where all the fun is the journey despite the destination. But that’s not to say that we don’t see some interesting time travel twists and turns here because we do. There’s poetry. There’s action. You get it all in this comic. Our hero, Andrew, is a college dropout who has succumbed to wasting away as an employee at Best Buy for many years. All too quickly, a mysterious figure, Tristram, enters Andrew’s life promising him a bright future ahead of him creating a means to time travel. Given Andrew’s utter lack of focus, it’s almost a blessing to have Tristram there to pull his strings in any direction. There’s Leilani, who Andrew pals around with when he’s not pining away for his ex, Melissa. But, other than that, not much going on. There was once a glimmer of promise for a career in science for Andrew. He seems better off, strangely enough, under Tristram’s spell. It’s not going to be good for the long term but, maybe just for a little while, this partnership with this metaphorical vampire is just what Andrew needs. Under the spell of time travel, Andrew would be quite content to just find a way to spend more time with his little sister, Sarah. The Chro-Noz pill holds the key to time travel. Somewhere deep inside the dunderhead Andrew resides a gifted mind. Tristram, as patient as he can be, spurs Andrew to action. Finally, a plan evolves and further development of the Chro-Noz wonder drug can continue. This involves Andrew going back to college and making use of the university lab. Andrew sort of gets his life back but it comes at the price of Tristram taking full advantage of the now enterprising Andrew. It’s an interesting character study with a lot of interesting ideas about how we linger over the rearview mirror. And, like I say, you get plenty of time travel action in the bargain. 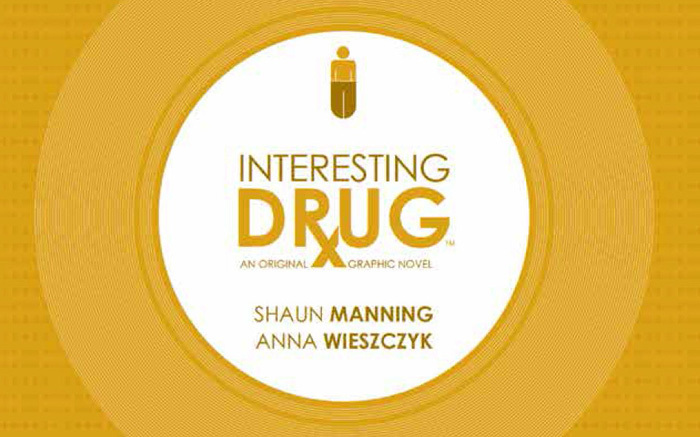 “Interesting Drug” is a 120-page hardcover graphic novel available as of May 28, 2014. For more details, visit our friends at Boom! Studios right here.